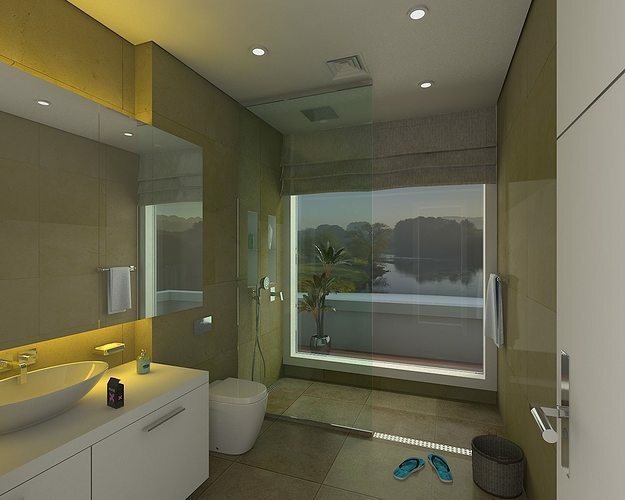 Detailed 3d Model of Modern Bathroom for architectural visualizations.This comes with all the textures and materials. The 3ds Max file contains the whole scene and includes all lights,cameras and settings and is ready to render. Just put it into your scene. Presented models and scenes were rendered in V-Ray 2.40.03 with 3ds max 2013. Textures included in the 3ds Max zip file. Model is in real scale. All parts are in correct layers. All the objects visible in above scene are included in the archive.